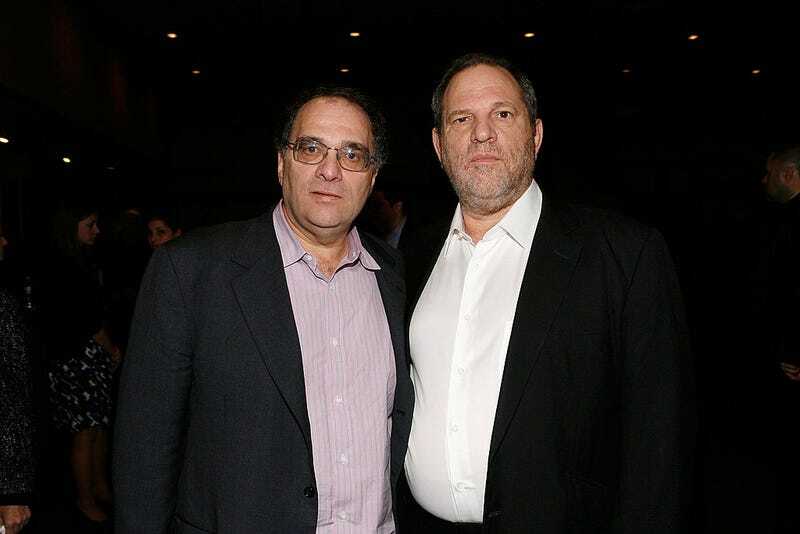 Despite Bob Weinstein’s frantic protestations that everything is still going swimmingly at the Weinstein Company following multiple journalistic investigations into co-founder Harvey Weinstein’s long history of sexually harassing and assaulting women, it looks like the embattled production company has been shopping around for at least a partial buyer. Bloomberg reports that the Weinstein Company is currently negotiating “a potential sale of all or a significant portion of the company’s assets,” a deal that’s presumably sweetened by Paddington 2. TWC is looking for an “immediate capital infusion,” and though the amount remains undisclosed, it will come from a familiar source. Colony Capital was part of a group that acquired the Weinstein-founded Miramax from Disney in 2010. Founder Tom Barrack has already agreed to provide the cash influx to TWC, presumably because he can’t resist snapping up properties in disrepair/disrepute: His company also bought Neverland Ranch in 2009 for $22.5 million. While we certainly have no problem with the Weinstein Company shuttering its doors, especially in light of the “look the other way as long as the check is on its way” clause in Harvey Weinstein’s contract, this move makes far more business sense than pinning your hopes to a CGI bear, even if he is voiced by Ben Whishaw.